Patty Scire joined EMC in 1990, holding various roles within the company. With stints in inside sales and customer service, she has focused most of her EMC career in indirect sales with roles tied to driving business strategy in the channel and supporting functions. In her prior channel roles, Patty led the channel sales operations team with responsibility for the channel revenue plan, as well as management of all business planning. She went on to build partner management functions and played a lead role in designing and implementing EMC's Business Partner Program as the channel strategy and enablement lead. In her role as director of global channel sales, Patty focused on global channel sales strategy, improving sales productivity and deploying programs and initiatives that propelled EMC's channel growth to double digit numbers. Her solid decision-making, collaborative style, and results-driven approach has made her a go-to trusted leader across the business. 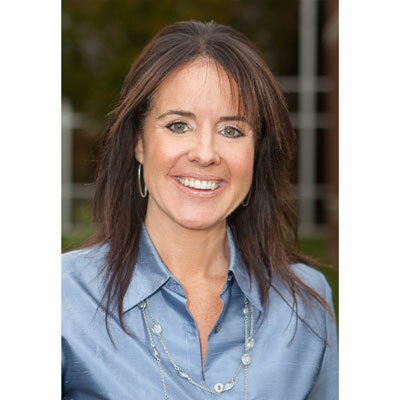 Most recently, Patty has served as chief of staff to the North America channel sales leader. In 2017 Patty spent much of the time working with the senior vice president of global channels to identify, build, and drive key programs, initiatives and organizational alignment in an effort to accelerate growth of market share in the channel. She helped develop and implement many channel go-to-market strategic initiatives. Focus areas included product launches, channel enablement, training and development, voice of the partner, cross- functional team integration and best practice sharing. Patty has been instrumental in the design of strategic initiatives for the channel. She has partnered with the global operations team to align key business development activities to key technology initiatives. Patty has also ensured channel plans were aligned to Global sales strategy and priorities. She interacted regularly with theater channel sales teams and cross-functional counterparts to uncover future opportunities, obtain feedback and communicate progress against key initiatives. Our goal for this year is very straight forward - to focus on execution of our strategy, programs and initiatives that deliver on our partner program's core pillars of simple, predictable and profitable. I will be focused on our North American channel sales and program strategy, and ensuring that our program and strategic sales initiatives are propelling forward. I have been recognized on the CRN Woman of the Channel list for the past five years and was also recognized with the Power 100 designation in 2015. Christine Fraser, a senior vice president at Dell EMC, is a tremendous role model to me. She's incredibly good at her job. She's an intelligent, driven professional with a track record that's propelled her through the ranks. As a senior female executive, she supports and builds up other women in the organization, speaking on the value of advocating for ourselves and our goals and encouraging us to take leadership on the issues we believe in. She exemplifies a successful balance between the professional and the personal, and never loses sight of what's important in her life. Get outside of your comfort zone and go for it. Don't be intimidated by male to female ratios, they are changing. Growth happens when you're a little uncomfortable because you're forced to test your abilities and try new things. You'll probably take a few falls while in that uncomfortable zone, but I promise you'll learn more and do your best work because of those tumbles. I would also have told myself to establish mentors early and often. They really can make a difference in your career. I would love to strengthen my presentation skills, particularly to large audiences. I find I often speak a little too fast, especially when I begin presenting, so I would like to improve my voice control and delivery. Somehow, I also find myself not knowing what to do with my hands! I so admire strong presenters. I can't pick just one! I relate to characters and pick up insights from non-fiction and fiction. I read "The Boys in the Boat" by Daniel James Brown a while back. It's the story of the 1936 US Olympic crew team and their journey to win the gold medal at the Olympics in Germany at the height of the Nazi reign. It's a fascinating story of teamwork mixed with the current events of the day. The power of a crew team all working together at the exact right moment is a great parallel to working with teams in professional settings.